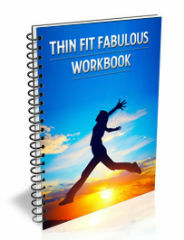 The Easiest way to become the best version of Thin, Fit Fabulous you! Why Struggle with Will power, habit Control and Motivation? 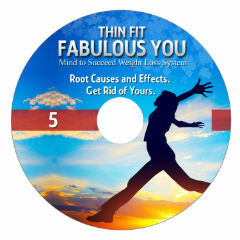 Hi, I'm Mandy Bass, Founder of MindToSucceed.com, and the creator of Thin Fit Fabulous You, Weight Loss System. 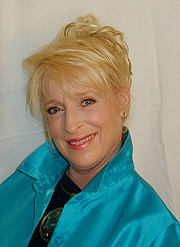 As a Trainer, Coach, Author and Speaker, I have shared the stage with personal growth gurus, Wayne Dyer, Laura Silva, Gregg Braden and Deepak Chopra, and my articles have appeared in national publications. Now, I don't mean to brag (actually, that's a lie: I love to brag), but my programs have helped thousands of people from all walks of life achieve fabulous results by learning how to HARNESS THE POWER OF THEIR OWN MINDS to HELP -- instead of sabotaging progress. I can do that because my students get real results -- not because I am great-- but because THEY are. Actualizing YOUR GREATNESS happens when your mind power is aligned with your goals, helping you overcome problems and achieve what you want. After twenty years of teaching people how to use their minds with tools such as NLP, the Silva Method, Self Hypnosis and Hypnosis, the real results of my students speak for themselves. I realized early in my career of helping business professionals become more successful in all areas of their lives, that their weight loss struggles often interfered with their promotions, job satisfaction, and personal relationship success. Having had my own struggles with weight and eating disorders when I was in my teens and early twenties, I knew first-hand, the silent, secret suffering some of my dearest clients were experiencing. I found that there were dozens of excellent diet programs with sound eating advice and food plans. But what was consistently missing was a methodology that addressed all the ways your own mind can sabotage your diet and exercise plans. There are solutions that make it easier to counter negative thoughts, resist temptation, stop emotional eating and stay motivated -- but you are NOT BORN KNOWING THEM. They need to be learned. As a certified hypnotist, mind training expert, trainer and coach, I have used these dynamic techniques for years to bring about real change for my clients AND myself. Now these techniques are available to you through this program. After twenty years of bringing these techniques to real students who have had real success, I KNOW these techniques will work for you. Give this Thin Fit Fabulous You a good try, apply the techniques right into your daily life. 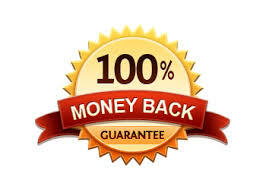 If after 8 weeks you feel these online weight loss programs, and the instruction and bonus materials did not help you lose weight, then simply send me an email and you will receive a full refund. Of course, I'm available to answer any questions you may have. P.S. YOU CAN Lose Weight! And Keep It Off! With this program You Will! "I lost 104 lbs and 69.75 inches in 9 months after taking Mandy's course." The reason most people can't keep weight off permanently is because only 10% of what you do is conscious. MOST of your life is governed by unconscious impulses, associations, beliefs, feelings, preferences and "programming" that are not addressed with ordinary diet, exercise, and weight loss programs. That is why you CAN often lose weight but CAN'T sustain it. In this program, we address what 90% of the other diets, exercise, and weight loss programs don't cover. How to use the power of your mind to identify and transform ALL THE HABITS, cravings and emotional impulses that keep you overweight and stop you from looking and feeling your best. In under an hour a day - or one full day - depending on how you like to learn, you will learn everything you need to know and experience to make weight loss permanent. Then you can use the guided exercises and work books as needed. You'll be using the most effective method of creating real change, including guided self hypnosis, Kinesiology, Hypnosis and NLP. Please understand, this is NOT a crash diet, or a fad diet. I won't tell you to eat cabbage soup or grapefruit before dinner again, unless you want to. I WILL teach you strategies of eating that will make reducing weight a pleasure without depriving yourself. But more than anything I am going to guide you to that Command Center in your mind where REAL change happens. We'll explore HOW your mind maintains your weight, and how to make changes that last. 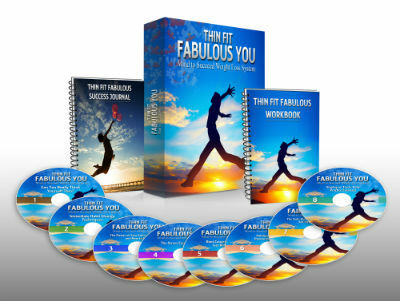 Thin Fit Fabulous You guides you through easy-to-follow steps which will help you succeed in losing weight, once and for all! The audio is in MP3 format and can be instantly downloaded to your PC or Mac (or iPod, or MP3 player), whenever or wherever you wish! It's like having unlimited time with your own personal weight loss coach! This is an IMMEDIATE-ACCESS-ON-DEMAND program. You do not have to wait for delivery by snail mail! 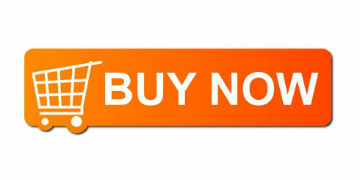 To save you even more money and time, you can download it and start listening instantly. Eight modules of digital, downloadable audio with the easiest, smartest strategies for taking those excess pounds off and keeping them off for good. You will learn how to master the seven critical factors for your success, remove unconscious blocks, and master tools to easily and automatically change habits and behaviors. Working with a hypnotherapist, your investment would typically be in excess of $1,500 for these sessions. All for LESS than the price of ONE hypnotherapy session! 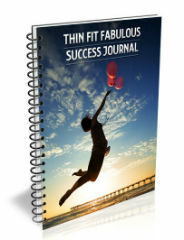 A 50-page comprehensive workbook for quick and easy review all the techniques, theories and methodologies that take the struggle out of weight loss. These online weight loss programs are filled with practical tips for turning off emotional eating, speeding up your metabolism, and a secret eating strategy that will end dieting. Furthermore, these online weight loss programs will teach you fun, interesting ways to enjoy exercise and physical activity more. 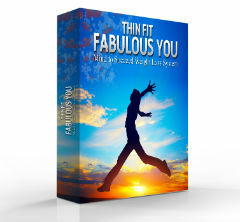 You will boost your confidence, feel fabulous and become the best version of yourself, very quickly. Success breeds success so it is important to track your progress and acknowledge your accomplishments. That is why we include a Success Journal. You will have a special place to record your successes to reinforce your learning and give you a boost when you need it. Each one designed to prevent your diet from failing! Audios that will gently guide you to deeply relaxing states and soothing levels of mind, where you will eliminate stress, direct the command center of your mind and heal uncomfortable past associations with weight issues. The vital role your unconscious mind plays in your weight, health and fitness and what to do about it. Seven weight loss factors you have probably never considered and HOW to control them. Motivation: A critical key to success. Find yours. LEARN a dynamic 10-second technique to give you the ability to resist any food without having to EXERCISE your will power again! Discover the incredible power of your sub-conscious mind. How to get it fighting FOR you--instead of against you, in the weight loss battle. The Stress Factor. Erase It! Scientific research shows that stress is not just bad for your health, it is fattening too. Even thin people get belly fat from stress. Root Causes and Effects. Get RID of Yours. The past does not equal the future! Yes, past events, conditioning, and associations CAN and DO shape your life. With the exercise on this module, all that can change! You CAN and will transform your experiences and break through to new ways of thinking, being and doing. Transform past events and "bad" associations into resourceful experiences that help you become the very best version of yourself. Learn a secret eating strategy that will change your life, and how to associate exercise with pleasurable satisfaction. Honestly, I will show you how. Discover important myths and misconceptions about food labeling and metabolism. 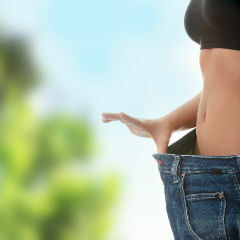 weight for over twenty years -without ever having to diet. How to make exercise more pleasurable. How to make your enjoyment of exercise... AUTOMATIC. Follow it by keeping all these things in the forefront of your mind. Yesterday I went to the grocery store for milk. I came home with a lot of stuff, but forgot the milk. Has that kind of thing ever happened to you? If so, how on earth can you be expected to keep all THAT in the forefront of your mind? This module works like a short cut on your desktop to remind you (and keep you focused) on what is important. The code word technique acts like a beacon in your mind, propelling you toward the actions that drive results. The Morning Sparkle to make your day shine with success and joy. This will KEEP you motivated! If you have ever had a guided hypnosis session from a full-time hypnotherapy professional with all the credentials, NLP training and self hypnosis experience, it would probably cost you between $100 to $250 per hour. Realistically, it would probably take you 12-15 sessions to go through all the lessons covered in the material on offer here. It might even take you weeks before you started to lose weight. So, if you had a professional hypnotherapist work with you through these lessons, your whole investment would probably be upward of $1,500. You only pay for my "time" once-even though you may want to repeat a lesson or practice a technique again and again. 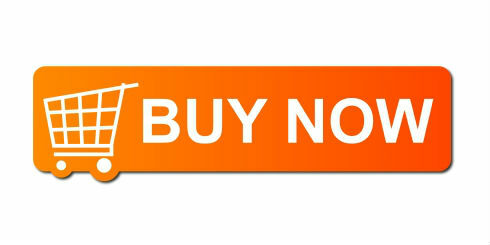 With the power of the Internet, and no shipping costs for the audios, I can pass all the savings on to you. "I am a thirty-five-year veteran of the scale wars, and this is the only online weight loss program I know of that addresses ALL the issues of weight management. Working through the program has given me new insights into the root causes of my weight issues and new tools to deal with them. Bonus package that will speed up your learning process. Self hypnosis Weight Loss: The popular online weight loss course that my students rave about! All 4 modules ( 2 hours each) that you can watch and listen to ANY time you choose from the comfort and convenience of your home, office, hotel or internet cafe. The video recording also includes questions from students to help deepen your understanding of the methodologies. 3. Closed-eye exercises to be practiced in a controlled environment. "When I heard Mandy was doing a weight loss program I was beyond thrilled. I immediately signed up. The program has to be one of the best things I have ever done for myself . . . I was able to identify the root cause of my body image issues and work on getting over those. I learned fabulous techniques using NLP to be able to walk past foods and to get up and exercise. "I went from a size 12 to a size 6 and am told daily that I look much younger than my age." "I am a thirty-five-year veteran of the scale wars, and this is the only online weight loss program I know of that addresses ALL the issues of weight management. . Whether you have suffered with eating disorders your whole life or you just want to speed up your metabolism and take off a few extra pounds, this program can really really help you!"